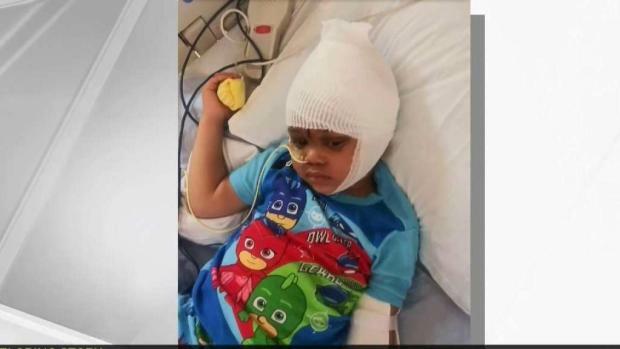 In an incredible turn of events, a 4-year-old Oakland boy who accidentally shot himself in the head less than two weeks ago is awake, responding and recovering. Lili Tan reports. 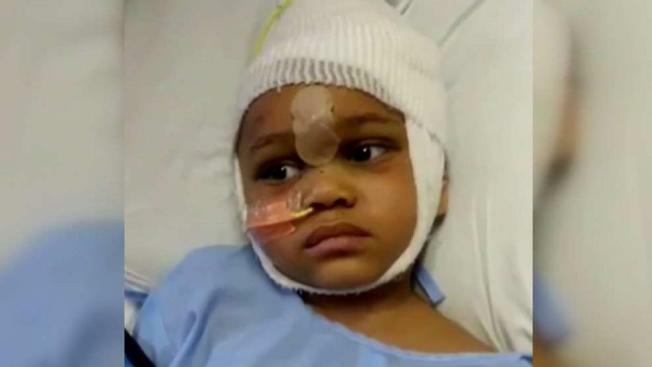 A 4-year-old Oakland boy who has been clinging to life after he accidentally shot himself in the head is showing improvement, his family said late Thursday. Navaun Jackson had been on life support at UCSF Benioff Children's Hospital in Oakland but was moved out of the ICU, his family said Thursday. It's hard to believe that less than two weeks ago, Jackson was clinging to life. "He got taken out of the ICU, breathing on his own, he’s doing something different every day," said his mother Brijanna Price. "He’s taking gauze out, he’s rolling his eyes at nurses for moving his TV, he’s rolling around in his chair. I mean, he’s doing wonderful." The sister of a man who rents the home on Oakland's Ritchie Street were the incident occurred said Navaun slipped away from two friends and found the gun. Price's boyfriend, 37-year-old Terrence Wilson, was charged with one count of child abuse and one count of possession of a fire arm by a felon, as well as one count of first degree criminal firearm storage. "I don't plan on talking to nobody that's associated with that house," Price said. "I'm focused on my son." For now, Navaun is in physical therapy and his grandfather said he's getting stronger every day. "Now we just have to find out what functions he has, what he won’t have, what will be effected, what won’t be affected," said Ramon Price. "That part’s not important, the important thing is that he’s going to live." The family won't find out for at least a couple of weeks if there's any permanent damage and there's no time line to bring him home just yet.